Hawai‘i has six official “SCENIC BYWAYS” (designated as part of the NATIONAL SCENIC BYWAYS PROGRAM), and Hawai‘i Island is home to three of them: Mamalahoa Kona Heritage Corridor, Royal Footsteps along the Kona Coast and Ka‘u Scenic Byway-the Slopes of Mauna Loa. The MAMALAHOA KONA HERITAGE CORRIDOR takes you through an area of historic importance, telling the story of the area’s evolution from a pathway for ancient Hawaiians to its most recent development. Located on Highway 11, the KA‘U SCENIC BYWAY-THE SLOPES OF MAUNA LOA offers the longest stretches of unspoiled natural scenery found anywhere in the state. The route is the same travelers normally follow from the Kona direction when driving toward HAWAI‘I VOLCANOES NATIONAL PARK and offers views of landscapes that run from mauka (mountains) to makai (ocean), including a rainforest reserve, well-vegetated volcanic terrain, sweeping vistas of the ocean as well as the volcanoes MAUNA LOA AND KILAUEA. ROYAL FOOTSTEPS ALONG THE KONA COAST uncovers the history of the area that’s hidden in plain sight. Travel along Ali‘i Drive, and take in beautiful vistas on one side and bustling energy on the other. However, look a little closer, and you’ll see that this 7-mile stretch also is home to many important sites of historical significance, like HULIHE‘E PALACE, PA O UMI (the residence of the ruler Umi-a-Liloa [ca. A.D. 1490-1525]), breathtaking bays and beaches, churches, HOLUALOA ROYAL CENTER and more. To ensure folks don’t miss any of these must-see Kona Coast sites, KAILUA VILLAGE BUSINESS IMPROVEMENT DISTRICT created a KONA ROYAL FOOTSTEPS APP for smartphones. 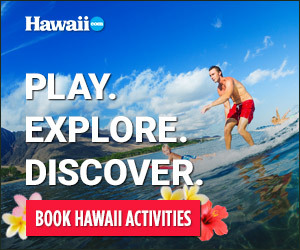 Visitors who download the free app will have access to information about sites found along the byway— think ancient HEIAU (temples), HULIHE‘E PALACE, HOLUALOA ROYAL CENTER and the beach where King Kamehameha the Great perfected his surfing skills—as well as photos and data on ocean recreation activities, shoreline access, area accommodations and more. Immense care was taken to use and revitalize Hawaiian place names at popular surf spots. Points of interest are mapped with easy-to-use Google Maps. Search “Kona Royal Guide” or “Kona Royal Footsteps” to download the app, or visit historickailuavillage.com for more information. For more information on the Hawaii Scenic Byways Program, log on to hawaiiscenicbyways.org.